Weapon-R has developed a special high temperature insulating gasket which replaces the OEM intake gasket. By reducing heat transfer from the cylinder head, to the incoming air from the intake manifold gives you up to 5% more horsepower and torque. 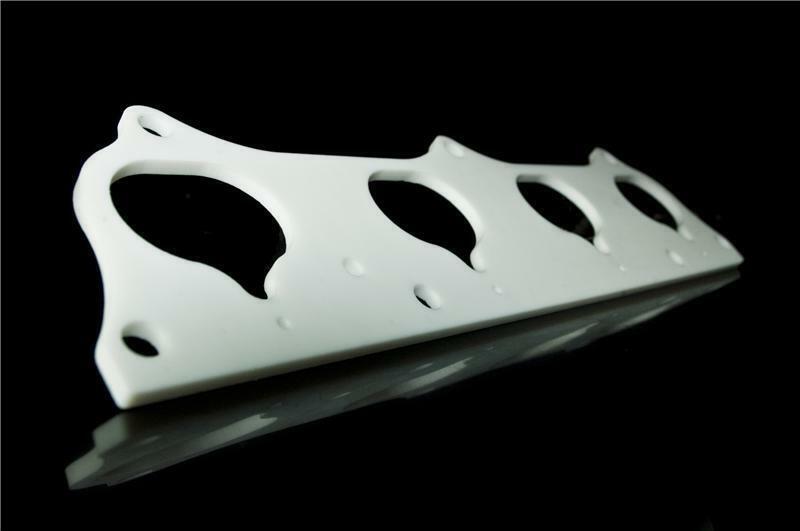 Our Thermal Intake Gaskets are made of high temp resistant plastics which can withstand up to 400 F.